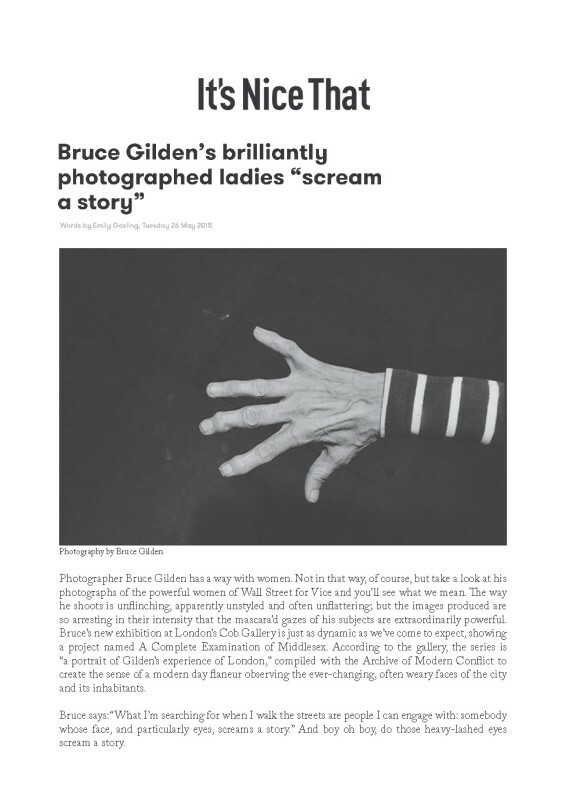 Photographer Bruce Gilden has a way with women. Not in that way, of course, but take a look at his photographs of the powerful women of Wall Street for Vice and you’ll see what we mean. The way he shoots is unflinching, apparently unstyled and often unflattering; but the images produced are so arresting in their intensity that the mascara’d gazes of his subjects are extraordinarily powerful. Bruce’s new exhibition at London’s Cob Gallery is just as dynamic as we’ve come to expect, showing a project named A Complete Examination of Middlesex. According to the gallery, the series is “a portrait of Gilden’s experience of London,” compiled with the Archive of Modern Conflict to create the sense of a modern day flaneur observing the ever-changing, often weary faces of the city and its inhabitants.